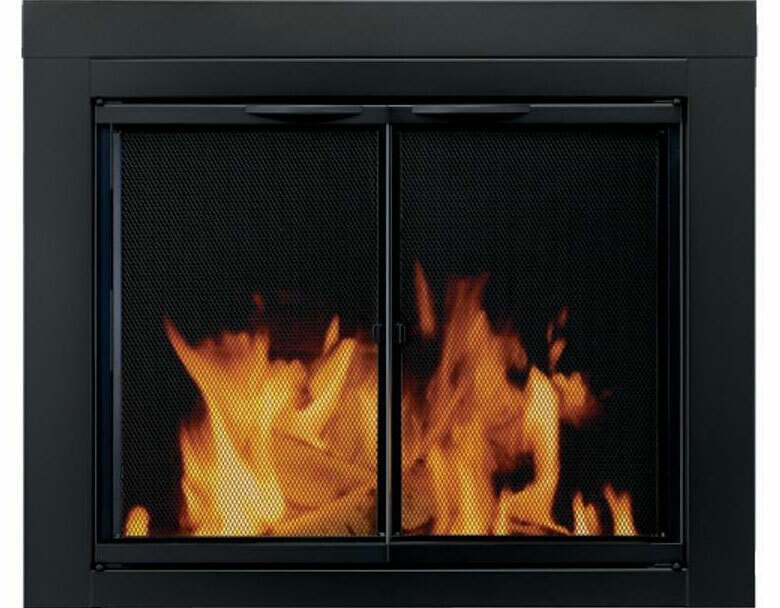 Combine old memories with the modern and stylish Pleasant Hearth Alpine Fireplace Glass Door. We all have old memories, telling stories before a fireplace. The beautiful smell of the burning wood, and the joy, we shared with our relatives as we told jokes and laughed. 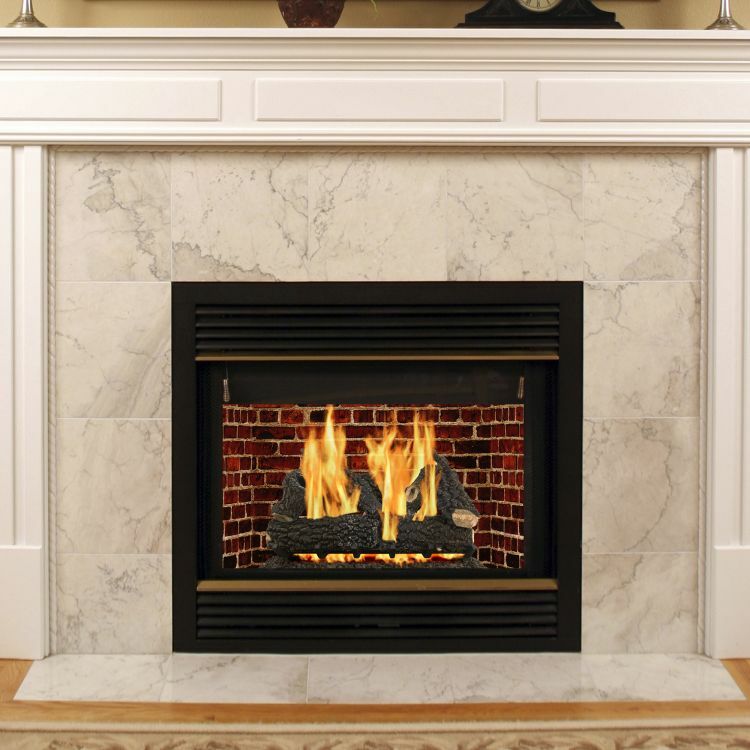 Revamp your old fireplace by installing this Alpine Fireplace Glass door. 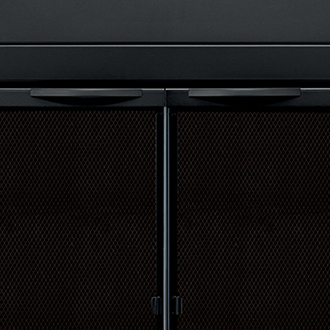 The first thing you’ll notice when looking at The Alpine Fireplace door is the stunning Midnight black powder coat finish. Above all, glassdoor reduces heat and air conditioning loss up the chimney by up to 90% when not in use. The Pleasant Hearth Alpine features 3/16″ safety tempered glass doors open up 180 degrees, meaning you’ll have the full view of your fireplace. These glass doors are held together by heavy gauge steel and 1 inch welded frame. Secondly, two rigid mesh panel with easy catch magnets sit behind the glass door. 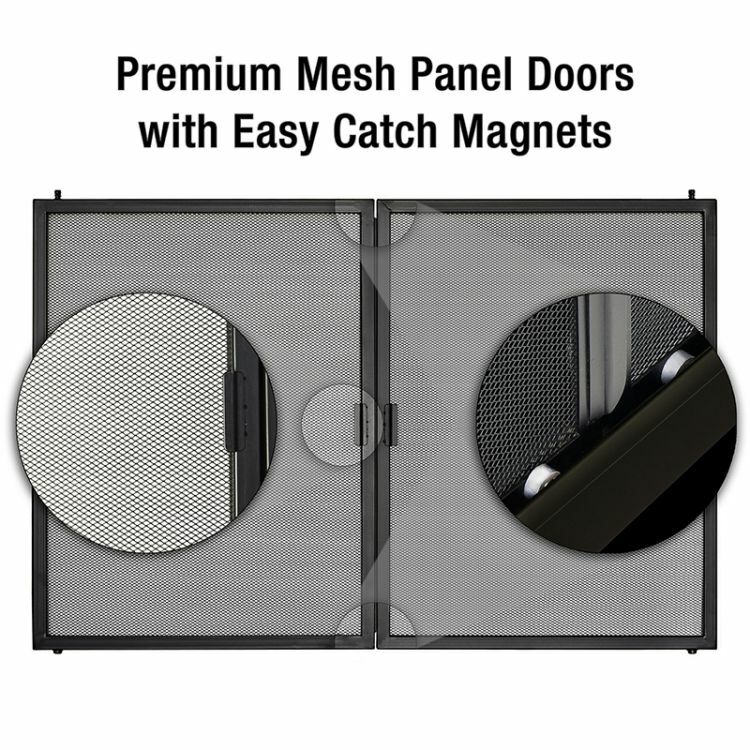 These mesh panels protect your family from potentially dangerous sparks from the fire. Damper knobs slides can control the amount of air flow that comes out from the fireplace. Finally, heat resistant thick insulation reducing heat and cool air loss by up to 90% when the fireplace is not in use. Does The Pleasant Hearth Glassdoor come with only a glass door? No, it has a glass door and behind the glass door, there is a rigid mesh panel. Does the glass door come in more than one color? Which size will fit best my fireplace opening? It depends on the size of the opening of your fireplace. We’ve created an easy to digest sizing page for you. NOTE: all Pleasant Hearth fireplace doors are suitable only for masonry fireplaces. How does the glass door open? The glass doors open as cabinet doors open in a closet. Does the manufacturer provide with any type of extra protection at the handles of the door in order to prevent kids from getting in touch with the fire? No, the manufacturer doesn’t provide with extra protection at the handles of the door. Not really suitable for families with toddlers roaming about. The all-black finish is sleek and classy at the same time. The installation of the glass door is easy, only taking an hour or so to install. The glass door is produced of quality materials: thick glass and metal. 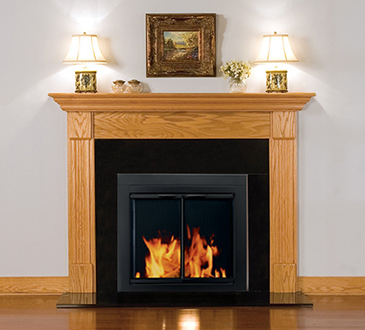 Overall the Pleasant Hearth Alpine Fireplace Glass Door is an excellent product for its price. Produced by the highest of quality materials it combines practicality with style. So if you’re after a touch of class to add to your fireplace and keep the heat in your home during those cold nights, you should consider The Alpine Pleasant Hearth Fireplace Glass Door.